IMPORTANT: 5K Race participants must use the Eastland Rd entrance to the Fairgrounds (164 Eastland Rd, Berea, OH 44017). Family Rate: $15/Registrant. Minimum of 4 people from the same address, one person per form. MAIL IN ONLY. , or Click here to register online. Online registration will close Sunday, Sept 1, 2019 at 9am! All mail-in entries must be received by Wednesday, August 28, 2019. 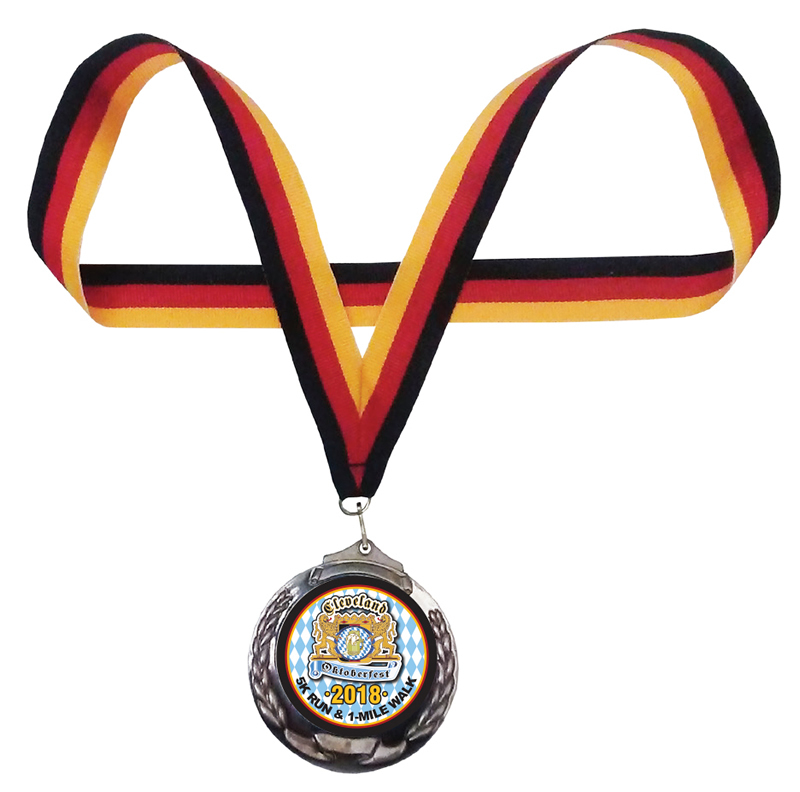 Dress Up & Save: Participants who dress up in authentic German Costume will receive one (1) additional FREE admission! 14 & Under, 15-19, 20-24, 25-29, 30-34, 35-39, 40-44, 45-49, 50-59, 60-69, 70 & Over and Wheelchair. 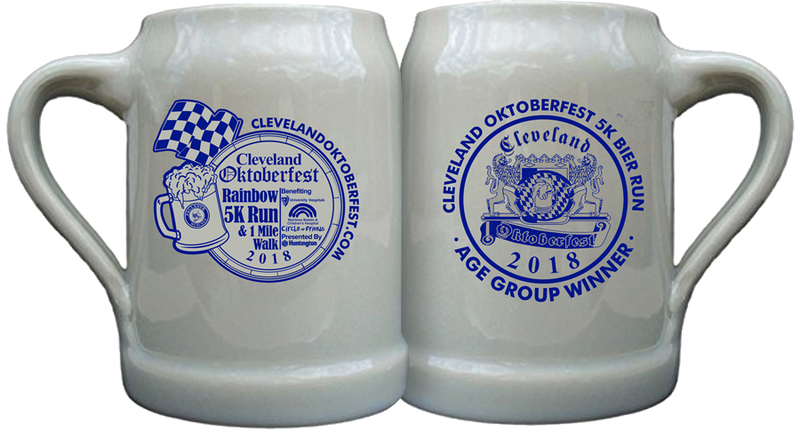 Age Class winners 20 and over will receive a Commemorative Ceramic Mug (picture to the right). 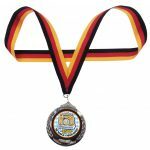 Age Class winners 19 and under will receive a medal. 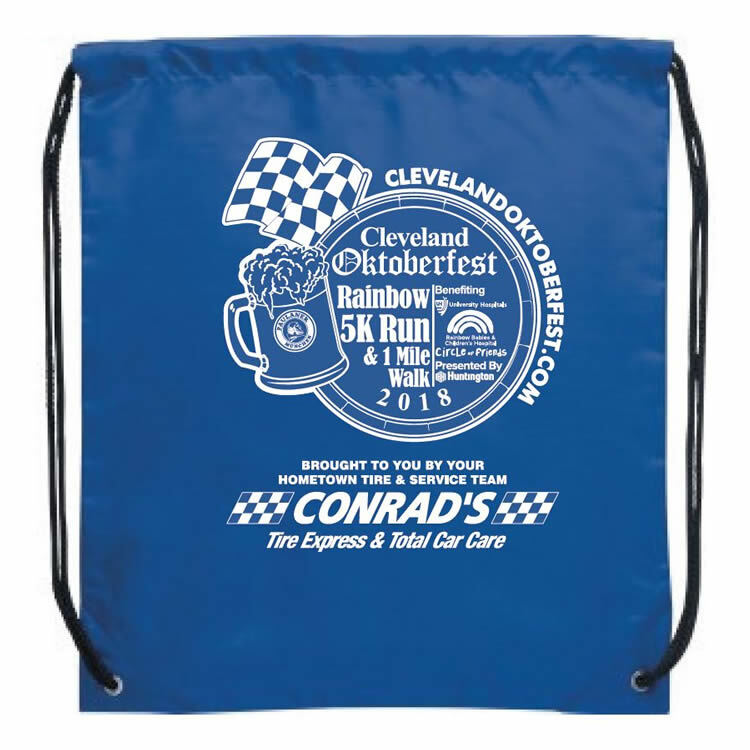 Show your race bib at the Eastland Rd. Gate and received one FREE Admission to the Cleveland Oktoberfest. A Goody Bag courtesy of Conrad’s Tire Express & Total Car Care including refreshments from Giant Eagle, Frito-Lay, Monster Energy and Gatorade (while supplies last). 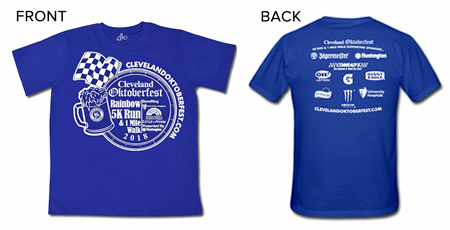 Pre-Registered runners will also receive a Cleveland Oktoberfest 5K Run T-Shirt. Last year’s 5K Run/1 Mile Walk was held Monday, September 3rd, 2018. The race drew over 900 runners. Pics from the 2018 5K can be found in our gallery here or click here to view 2018 race results.